Rob Gronkowski retires with three Super Bowl rings ... and a Super Bowl loss to the Eagles. Rob Gronkowski, a three-time Super Bowl champion with the New England Patriots, announced via Instagram on Sunday that he was retiring from the NFL after nine seasons. The tight end appeared in five Pro Bowls since being drafted in the second round in 2010. His 80 touchdowns (79 receiving, one rushing) in the regular season were the eight most among active players. 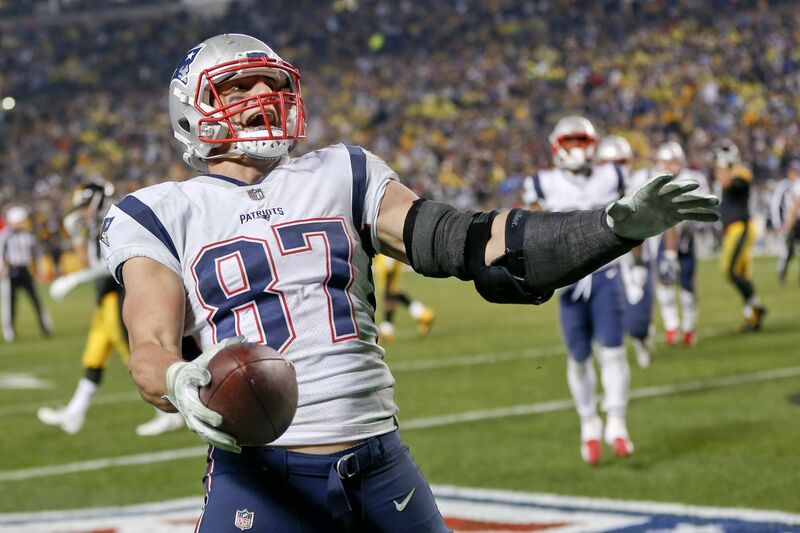 Gronkowski, 29, called it “an incredible honor to play for such a great established organization,” and thanked his teammates and fans for their support. “Cheers to all who have been part of this journey, cheers to the past for the incredible memories, and a HUGE cheers to the uncertain of whats next," he wrote. Patriots head coach Bill Belichick said in a statement that it was “a privilege and a pleasure” to coach Gronkowski.